Available now for the Lowest Wholesale Price in the Industry! 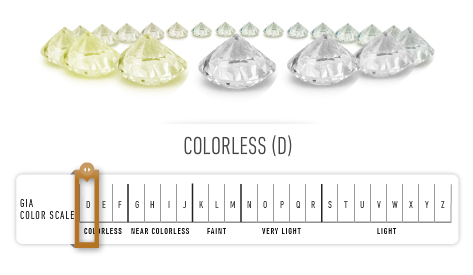 The Diamond Color Grading System starts with D, why not A? Why does the Diamond Color Grading System start with D? The answer is to avoid confusion, and any association with the outdated, inaccurate pre GIA Color Grading systems. The first ever official grading of Diamonds was in England by the London Diamond Syndicate – in order to sort through rough Diamonds for sale. From that point up until the 1940s there were many different color systems used by diamond traders. Comparing and determining Diamond Color was confusing, inconsistent and inaccurate. Then along came the Gemological Institute of America, bringing order, accuracy, and integrity to the diamond industry. The Color Grading Scale along with so many of the GIA’s incredible work in the field of diamond grading, was developed in the 1940’s and 50’s. The GIA wanted a fresh start and to avoid any association with the past bedlam surrounding Color Grading. Thus the Color Grading System we have today was born – starting not with the already confusing I, 1 or A …but the fresh and untouched letter D. And the rest, as they say, is history! Today, across the Globe, Diamond experts fully co-operate and use the GIA Diamond Grading Chart, ranging from Perfect, Colorless “D” to Yellowish, Brownish “Z”. The GIA exists to protect the consumer, as well as those in the industry with integrity. We are all quite thankful for its existence. Thank you Mike & Nicole for your kind Yelp review. We wish you both a ton of happiness and love! 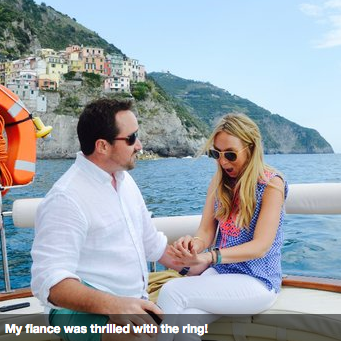 “I randomly stumbled across NYC Wholesale Diamonds and Keith Saxe, but I’m glad that I did. 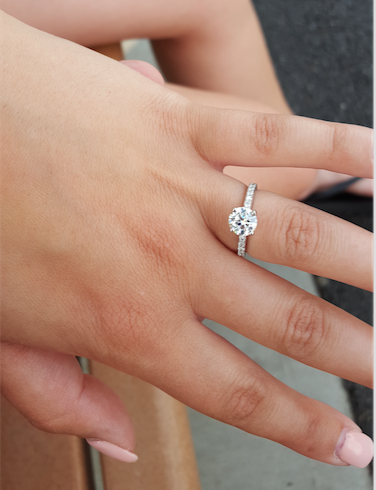 After looking up a specific diamond for an engagement ring that I saw in-store priced around $10k, I found that same exact diamond at NYC Wholesale Diamonds for about $5k. That immediately gave Keith credibility in my mind. Talking with Keith was unlike talking with anyone else I dealt with in my diamond search. He was happy to answer questions as I moved through the process and gave me his honest & straightforward expert opinions along the way. When it finally came time to buy, a few other websites had the same diamond I ended up choosing listed for slightly less (Many sites will list the same diamond for sale – same GIA certificate # – as diamonds are offered on an exchange between dealers and different dealers will list the same diamond without having physical possession of it). 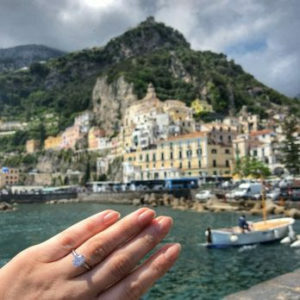 I reached out to those other sites and quickly found out why they were offering the same stone for slightly less – they gouge you on the cost of the setting. A 5.03-carat diamond dubbed the ‘Aurora Green’ is expected to fetch up to $20 million (HKD 155 million) at a Christie’s auction in Hong Kong this month. The largest natural fancy vivid green diamond in the world, named after a natural light display seen in Arctic and Antarctic regions, will lead the auctioneer’s Magnificent Jewels sale on May 31. A report by the Gemological Institute of America (GIA) describes the cut as “cut-cornered rectangular modified brilliant” and the clarity as VS2. 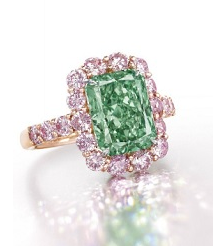 The auction will feature more 280 jewelry lots with a combined pre-sale estimate of about $100 million.